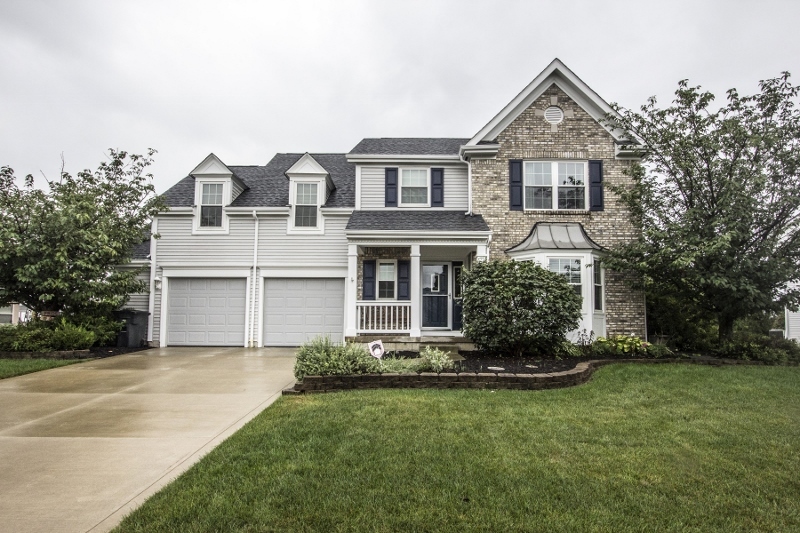 Two-story home on ~1/3 acre lot close to Alum Creek State Park & Polaris. 1st floor Den & Laundry. Island Kitchen has oak cabinets & ceramic tile floors. Family Room walks out to a new Trex deck & retractable awning. Upper Level Bonus/Theatre Room/5th Bedroom. Vaulted Master Suite has plant ledge, walk-in closet & private bath with garden tub. Finished lower level adds ~700 SF of additional living area. Recent updates include: carpet, roof, windows & doors, deck & awning, interior/exterior paint and more! 4 BRs & 2.5 Baths. Nearly 3,300 SF! Olentangy schools. Only $324,900! Call DeLena today!